We offer a variety of dog care services including boarding, daycare and walks. You can get away and relax, knowing your dog is receiving the care, love, and attention they would receive in their own home. Penticton Pet Resort is located in the Okanagan Valley in Penticton, BC surrounded by orchards and vineyards. 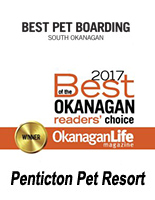 Penticton Pet Resort is a family run business that is dedicated to providing quality professional pet care for our guests. 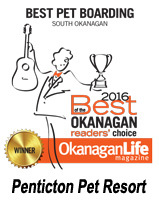 Our passionate and professional staff provides a safe, clean, comfortable environment for every guest staying at Penticton Pet Resort. Our goal is to make your pet’s stay as pleasant and relaxing as possible, while providing lots of daily exercise and fun activities. Our babes, Berners and Pyr have been under Lindsey and her wonderful staff's care for almost a decade. I sometimes think one of our furry babes loves Lindsey more than us, as we call her "doggie hikes" the "Party Bus" for our younger Berner, Mack! 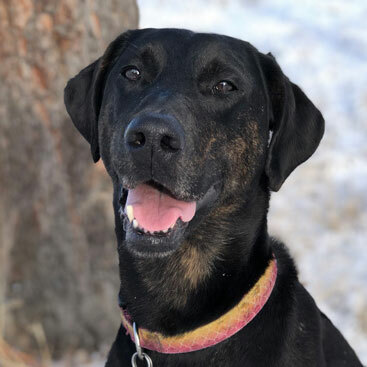 I would 150% recommend Lindsey and Penticton Pet Resort to our family, friends, neighbours or a stranger for that matter! Penticton Pet Resort is an amazing local doggy daycare, dog accommodation, doggy gym and 2nd home for a furry friend! Owner Lindsey is wonderful, even with my brat of a dog! She always responds right away when I ask how he`s doing and usually sends a photo! I would recommend this business to anyone who loves their pet & wants to socialize or board! If you have any questions, or require more information, don't hesitate to contact us.